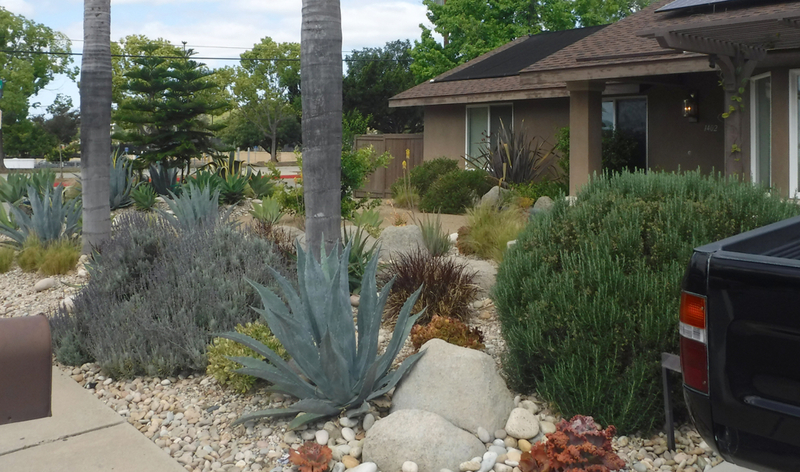 In transforming his landscape, Michael M decided to introduce plants that require less water than the conventional grass turf that once covered the front yard. 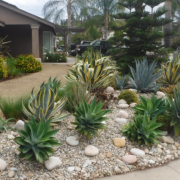 He also wanted reduce his water usage because he has a pool. 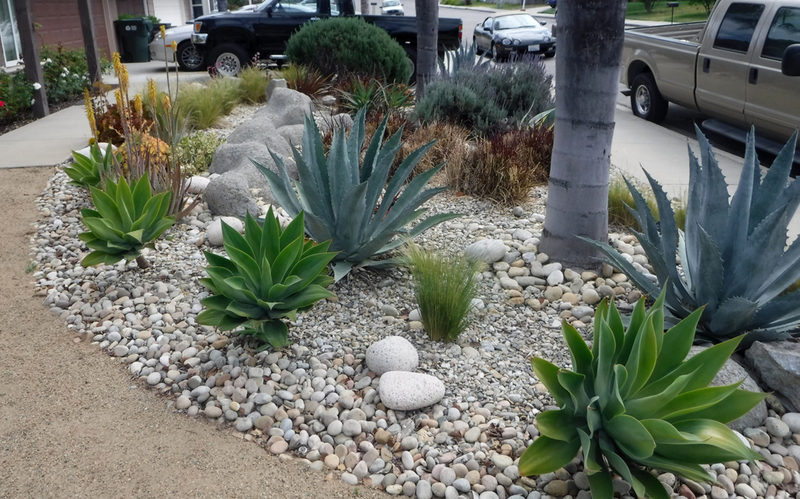 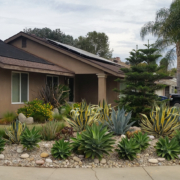 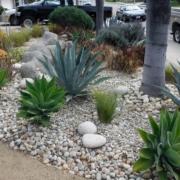 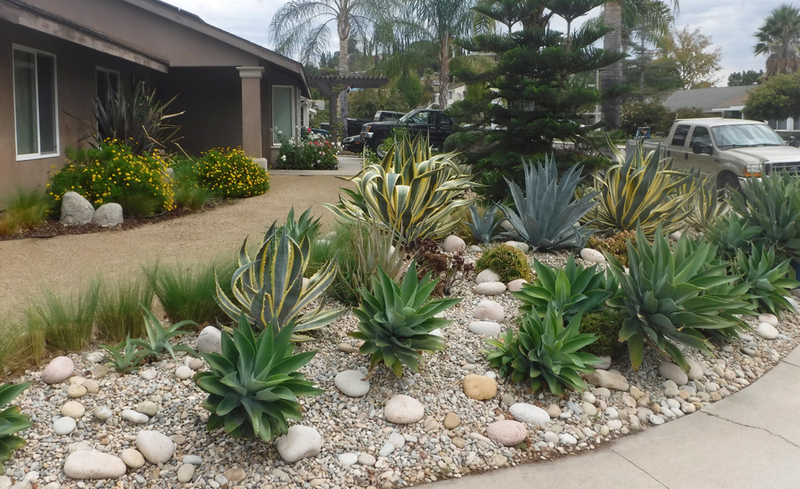 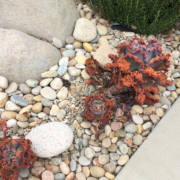 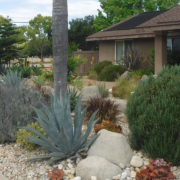 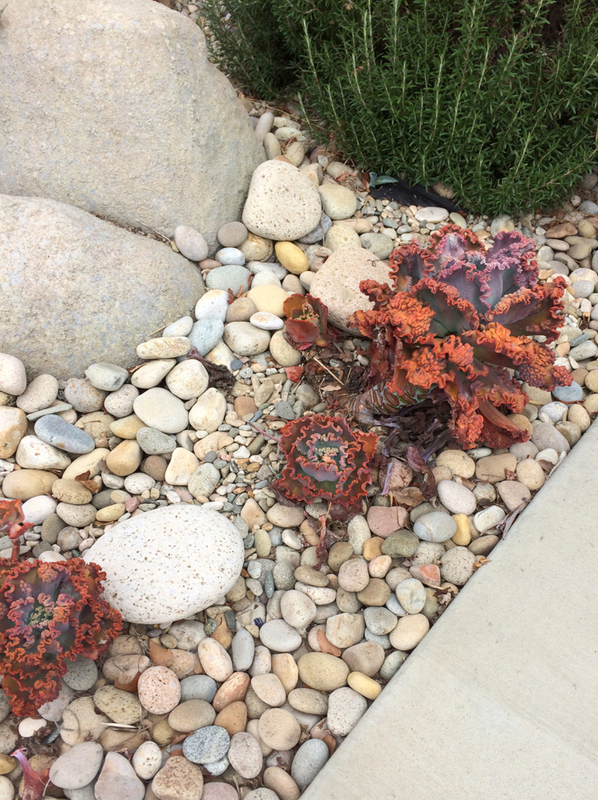 Converting his yard had great results – reduced water usage and people kindly give compliments. 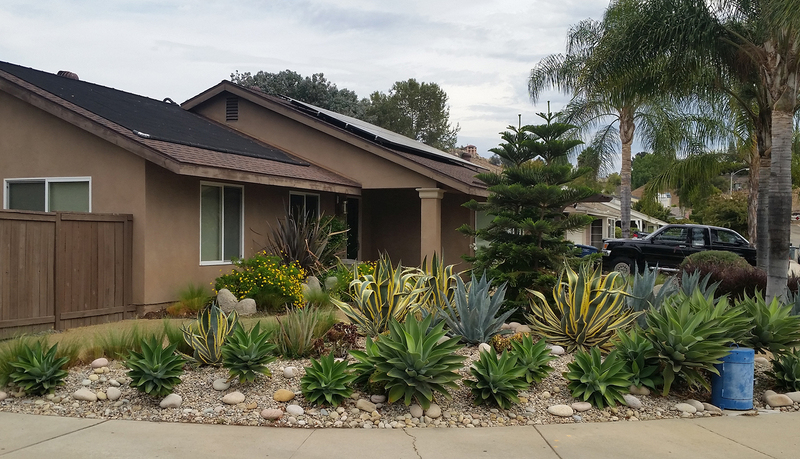 The bright succulents, mighty agave, deep green pine tree, and the rose plants that line the windows help brighten this yard in a Southern California friendly way.